Who knew you guys loved lentils so much?! Since I posted it back in October, my very veggie lentil bake has been super popular, with over 33,000 views so far. That number of views isn’t unheard of around these parts, but it usually takes a while to build up – in just a few months, I think that’s pretty good! 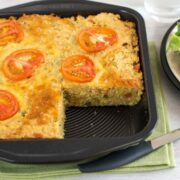 Since you’re obviously big fans of really easy, relatively healthy lentil-based dinners, I thought I’d offer up another option – this cheesy lentil slice! Just like my very veggie lentil bake, this cheesy lentil slice is super high in protein and fibre, but it’s still absolutely delish. The main difference between the two is that this slice can be… well, sliced. This means that as well as making a great dinner alongside some homemade chips and salad (or whatever else tickles your fancy), it can also be packed into lunch boxes or picnic baskets to be served cold. Gotta love a versatile recipe! I cooked up this recipe using a selection of knives from TT Trading. You may think you’ve never heard of these guys, but have you ever seen the ‘World’s Sharpest Knife‘ being demonstrated in the supermarket? That’s who I mean! I’m always drawn in by a good supermarket demonstration (what can I say? I love kitchen gadgets. I once watched someone spiralise different vegetables for what felt like at least an hour) – and although these knives may look simple, they’re super impressive in person. It’s hard to watch someone sawing through a hammer with an ordinary kitchen knife, and not be impressed. The little paring knife is great for chopping your way through all the veggies you’ll need for this cheesy lentil slice, and the long carving knife meant I ended up with perfectly round slices of tomato (which may seem like an odd thing to say, but have you ever tried to slice a tomato with a blunt knife? It just ends up all squished!). There are also steak knives and a flexible fileting knife to complete the set. The best thing about these knives is that they all come with a lifetime guarantee, meaning that you buy them once, and can have them replaced for free if you ever need to – forever. 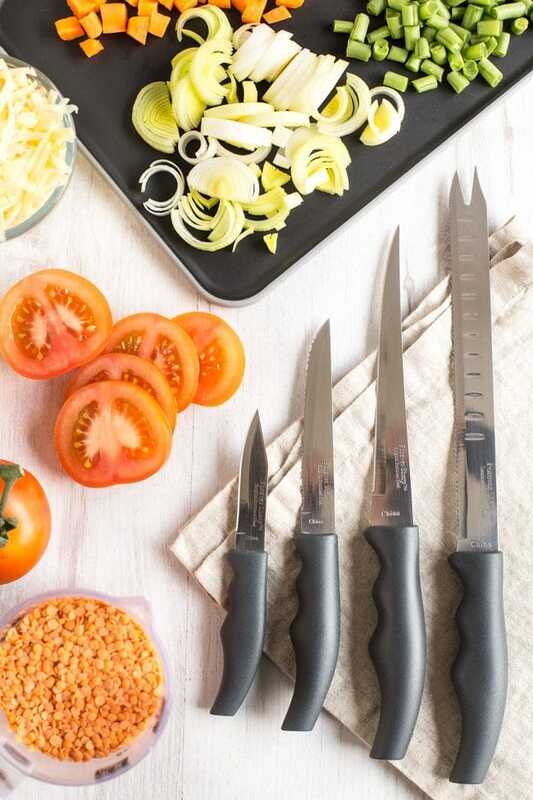 Luckily, despite their super sharp blades, the World’s Sharpest Knife set doesn’t come with a premium price tag – less than £45 for the complete set (10 knives in total, plus two juicers!). Pick up a set here! Plus you can use the discount code ‘amuse10’ to receive 10% off today. Once you’ve chopped all your veggies, it’s just a case of mixing them with some cooked red lentils, oats, and a good handful of grated cheddar cheese. 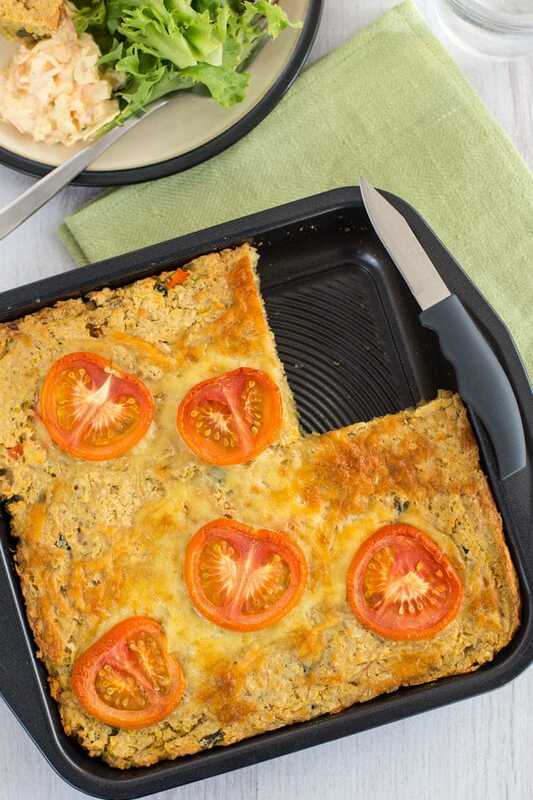 Top with those (perfectly round…) slices of tomato, and bake the whole lot until it’s nice and firm. Then just slice it up! You could try using different veggies, different cheese etc. if you feel like it. 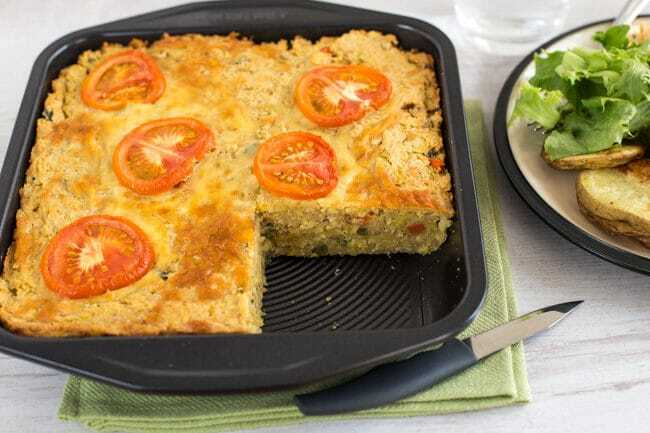 Just remember that since you want this cheesy lentil slice to set nice and firm, you’ll need to thoroughly cook any particularly wet vegetables beforehand, and cut them nice and small. 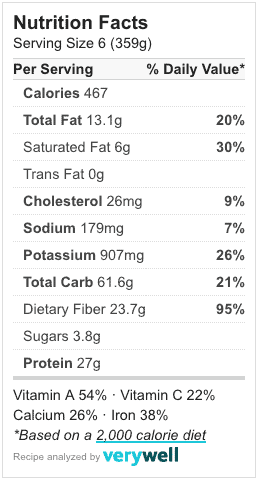 Other than that, the world is your… cheesy lentil slice. Add the red lentils and vegetable stock to a saucepan, and bring to a simmer. Cook over a medium heat until the red lentils are tender and any excess liquid has cooked off - around 15 minutes. You'll need to stir regularly, especially in the last few minutes, to ensure the lentils don't stick to the pan. Meanwhile, heat the oil in a frying pan, and add the chopped leek, carrot and green beans. Cook for a few minutes over a medium heat, until the leek is soft. Set aside to cool. When the lentils are cooked, transfer them to a large mixing bowl, and add the cooked vegetables, rolled oats, smoked paprika, and a generous pinch of black pepper. Allow the mixture to cool for a few minutes, then add about 2/3 of the grated cheese (hold some back for topping). Mix thoroughly. Spread the lentil mixture out into a greased baking tin (mine measured 9 inches square), and smooth out the top. Add the remaining grated cheese and a few slices of tomato. Bake at 180°C (Gas Mark 4 / 350°F) for around 45 minutes, or until the lentil slice is firm and the cheese on top is golden (cover with foil if you feel the cheese is browning too quickly). Either serve immediately, or allow to cool and cut into slices. Love a lentil? 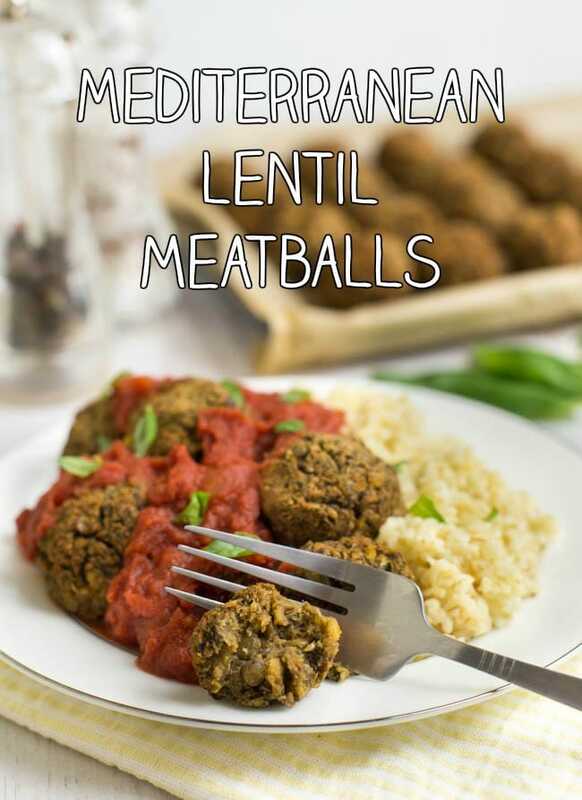 Try my Mediterranean lentil meatballs with tomato sauce! Made this for the family for dinner tonight – what a huge hit! The 8 yr old (the only veggie in the house) and the 2 yr old both devoured it and husband wants left overs for work lunch tomorrow! Really delicious and economical to boot. Highly recommended. Made this a few days ago and it was fantastic! My other half said by far the nicest dish Ive ever made (and i cook a lot, & im not bad) – hes not even a veggie! Loved this recipe and the others ive tried from you. Amazing! That’s so so lovely to hear, thank you so much :) I hope you find some other recipes here that you enjoy as much! Yes those should work fine! I have those knives! As do my mother and my sister – Tesco’s did a promotion on them several years ago now, and we all bought each other a set (like you do!). Excellent, especially for slicing tomatoes….. I made this last night and loved the colors and textures. I would like to try it again as we eat lentils and veggies all the time. Any suggestions? I was waiting to see what was in this, because we are going to a hotel for dinner tomorrow and they used to have a veggie haggis dish, but they started calling it lentil bake as people weren’t reacting well to the haggis. Personally I love veggie haggis. The serve the slices with whisky cream sauce, mash and neeps. Yum! I am loving your version too. Looks fabulous! Red lentils are my favourites and I’m always looking for new ways to cook with them. 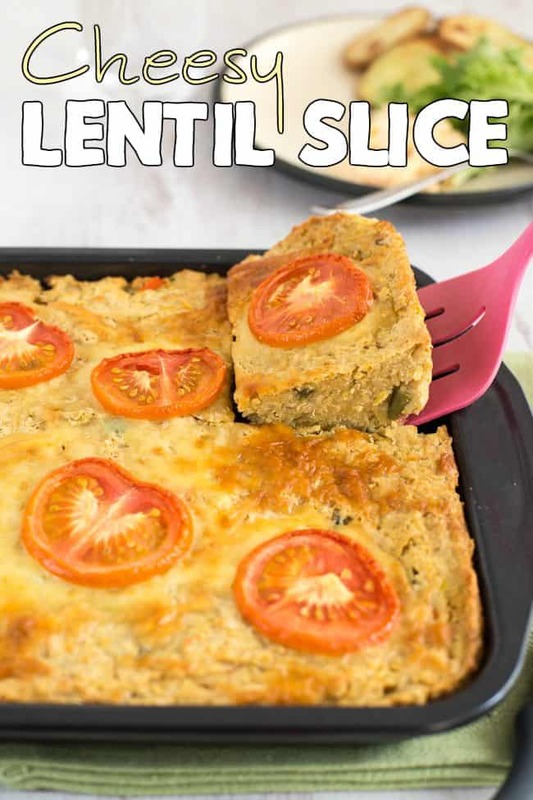 I’m really excited to try your Cheesy Lentil Slice as it looks delicious! To make it vegan, I’ll simply swap the dairy cheese for some vegan ‘free from’ cheddar instead. If the Slice is firm enough, it could make a great addition to picnic hampers! That’s because the very veggie lentil bake is delicious! It’s proper ‘not trying to be something else’ vegan food loveliness! :-D We’ll definitely be giving this a go as well! Lentils are my favorite! I use them in everything to get some extra protein in. Absolutely, can’t believe how cheap they are for the full set! One of my pet hates is to sharpen knives – my ears simply can’t stand the awful sound. So yes, that’s me cooking with blunt knives. Need these! I just never remember to sharpen mine haha, need to get into the habit.